Are you trying to sell your Jeep? We Buy Any Car can help you. We are specialists when it comes to buying used cars and we want to buy your Jeep. We buy hundreds of cars every day and have the expertise to make selling your Jeep a stress-free and even pleasant experience. We will give you a fair and honest appraisal of your Jeep’s value when you bring it to any of our convenient locations, and if you like the price we offer, we will cut you a check on the spot. If you would like to get an instant idea of what your Jeep is worth, simply enter the vehicle details into our easy to use quote generator, and we will provide you with an instant Jeep valuation price. We will buy your Jeep in any condition, whether it is running or not, and regardless of the miles it has on it or its model year. Contact us now to arrange an appointment for a free, no obligation inspection of your Jeep, and let’s get down to business! For 70 years – from its origins as the quintessential military vehicle during the Second World War – Jeep has produced solid and reliable vehicles. Currently manufactured by Chrysler, Jeep is the oldest brand of off-road vehicle currently in existence. 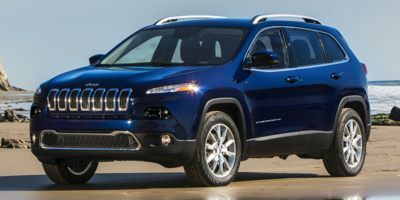 Jeep currently manufactures five models which include the Jeep Grand Cherokee, the Wrangler, the Liberty, the Patriot and the Compass – all of which are SUVs. Known for being tough, dependable vehicles both on the road and off, Jeep’s reputation for quality is unparalleled in the SUV and 4-wheel drive markets.